A new passenger listing has just been added as a page on this Blog. Thanks to the eBay member who listed it and scanned pages clearly enough to be reproduced here! 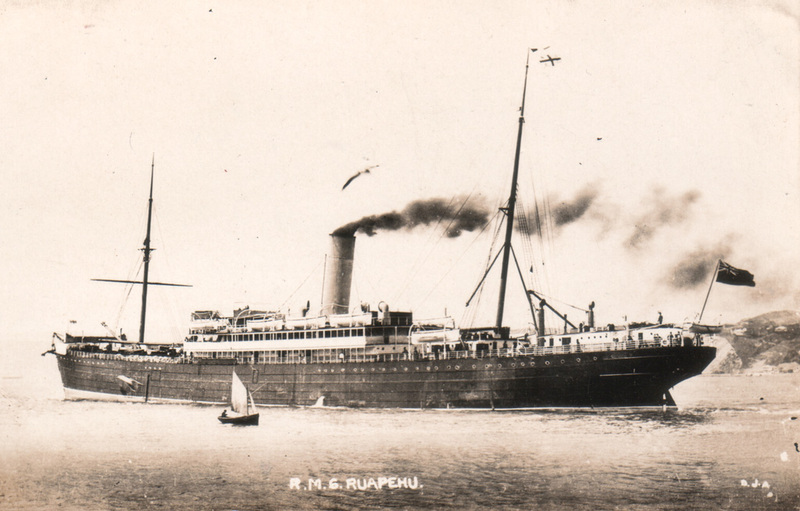 The New Zealand Shipping Company’s Ruapehu was launched in 1901 and sailed for 30 years, finally being sold to an Italian shipbreaker for £5,000 in July 1931. The photograph above was taken by New Zealand photographer David James Aldersley. Click here to see the passenger list. This entry was posted in News, Ruapehu on 09/04/2016 by printerspie.